WEDNESDAY, 23 MARCH – “Keharmonian (Harmony), Integrasi (Integration), Toleransi (Tolerance) and Asimilasi (Assimilation)” Carnival organised by the Mandarin language Club of Universiti Malaysia Sabah (UMS) was successfully held at the Padang Kawad (Parade Square), recently. 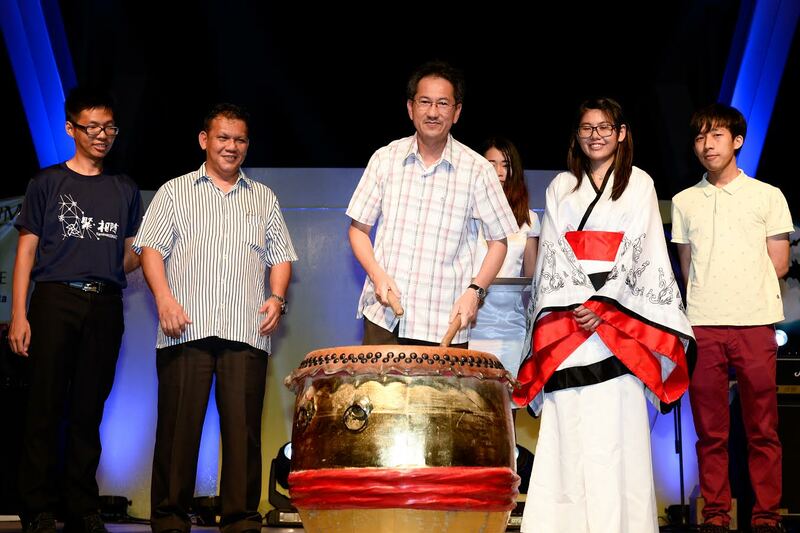 The three-day carnival to introduce the culture and customs of the Chinese to the campus community was officiated by the Vice-Chancellor of UMS, Professor Datuk Dr. Mohd Harun Abdullah. In his speech, he said the carnival was very significant because it could instill greater unity amongst the campus community who were of different races through their involvement in the programme. “The carnival also increases public awareness on the importance of cultural understanding and interaction among all races,” he said. Various activities were held during the carnival such as stage performances by UMS students, the popular band Estranged, including dragon and lion dances.